It's very important for us to pamper ourselves once in a while after all in a day's work around the house and taking care of our little ones. So it is always nice to have a long hot bath before we hit the sack and dose off. But, have you ever experienced having dry skin because your soap or body wash was just too strong for your skin? Or have you ever felt icky and sticky after putting on lotion just to get your skin moisturized? Having too many chemicals on your skin may not be the right way to take care of it. Being the most visible organ of the body, you need to take extra care of it. So, whether you have skin that is as tough as leather, or as sensitive as a baby’s, the proper care of your skin is important since it is always exposed to harmful elements that may damage and spell illness to your skin. Bath soaps and body washes are essential to clean your skin from all the dirt and grime you get from your daily activities. However, some soaps and body washes can actually strip off essential oils from the skin that could lead to dryness. One way to address this dilemma is to go natural! This is the perfect way to have your skin clean and nourished for that healthy aura people will notice. Filipinos are not new to cleansing using natural ingredients. Among others, oats and salts are used for exfoliation, honey for skin rejuvenation, milk for moisture, jasmine for its soothing properties, and flower petals for fragrance and indulgence. What could be new to Filipinos, however, is the use of coconut water in caring for the skin. For many years, coconuts have been used in so many ways, be it for nutrition, in the household, or in other commercial industries. It is only now that coconut water is being used as an ingredient for body care. 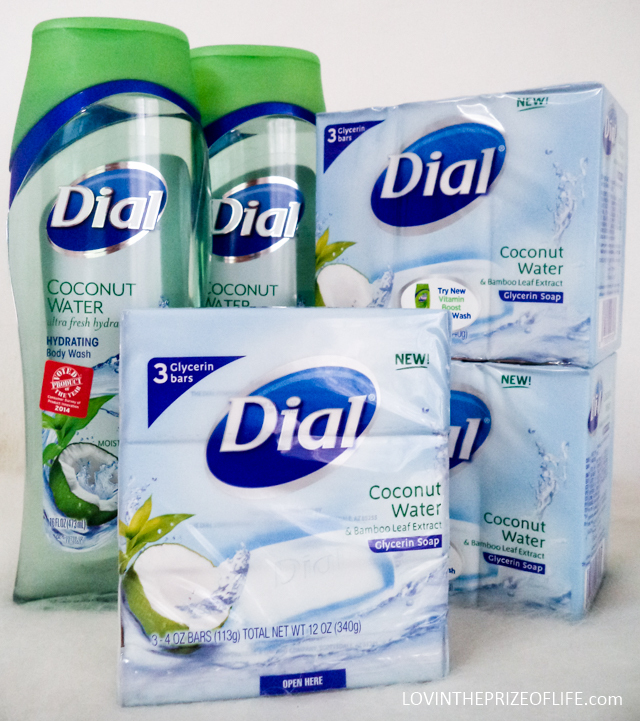 One of America’s most trusted body care brands, Dial, came up with the innovative idea of infusing coconut water into our daily body care products like soap and body wash. Dial understands that the only way to make your skin refreshed and revitalized from all the stress it takes from the modern lifestyle and environment is to go natural for better nourishment. Your skin is the most noticeable part of your body wherever you go, thus your skin health should be in its tip top shape all the time. It only takes one shower using Dial Coconut Water Soap and Body Wash to have that much-needed skin care – for a healthier aura people will notice. Dial Coconut Water is available at all leading supermarkets and department stores in Metro Manila. To know more about Dial, visit www.dialsoap.com. Henkel operates worldwide with leading brands and technologies in three business areas: Laundry & Home Care, Beauty Care, and Adhesive Technologies. Founded in 1876, Henkel holds globally leading market positions both in the consumer and industrial businesses with well-known brands such as Persil, Schwarzkopf, and Loctite. Henkel employs about 47,000 people and reported sales of 16.4 billion euros and adjusted operating profit of 2.5 billion euros in fiscal 2013. Henkel’s preferred shares are listed in the German stock index DAX.